Kids eat with their eyes first, so food packed in cool lunch boxes are a great way to engage the little eaters! 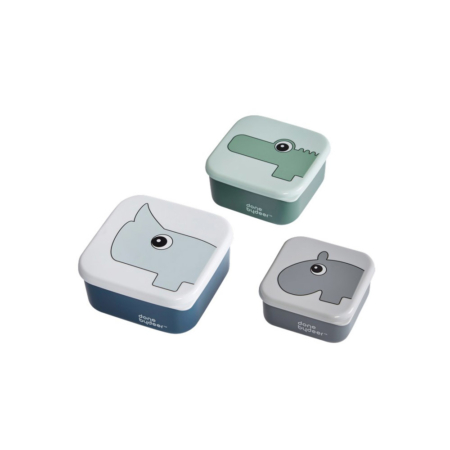 This set of 3 snack boxes are the ideal way to make sure kids take their lunch boxes with pleasure and let them eat! The set of 3 lunch boxes has soft blue or powder color tints. They’re dishwasher safe, except the lid. The boxes fit in each other so you can easily store them. 11,8 x 11,8 x 5,5 cm – content: 0,5 L.